One of the challenges that IT administrators face is deciding which hardware and how much hardware to purchase for their data centers. 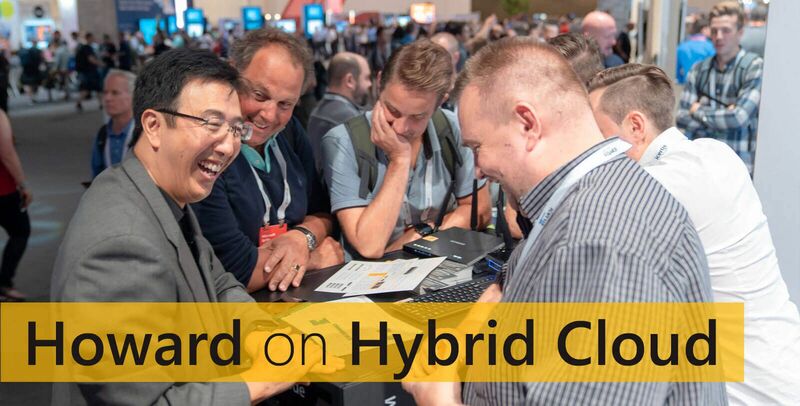 This is especially true for IT administrators that have made the decision to switch to a Microsoft Windows Server-based hyper-converged infrastructure. It’s still relatively new and even with an ever-growing number of deployed Storage Spaces Direct clusters, no one wants to spend time researching qualified hardware lists and experimenting to make sure they have the best configuration for their workloads. DataON is one of the pioneer providers of Storage Spaces Direct HCI solutions. We’ve been a close partner with Microsoft for almost a decade, and we’re confident in our expertise with Microsoft solutions. The reason why we’re confident is because we have over 150PB in Storage Spaces Direct deployments with over 650 enterprise customers. And we only deploy Microsoft HCI solutions. Not VMware, not Nutanix, not SimpliVity. In addition to having our solutions certified with Windows Server by Microsoft, DataON has partnered with Intel to create Intel Select Solutions for Microsoft Windows Server Software-Defined Solutions and SQL Server. The goal of the program is to provide a faster time-to-value with reduced operational costs, for validated hardware with today’s workloads. These solutions are vigorously benchmark-tested to verify performance and ensure predictability, eliminating guesswork and reducing the time needed to evaluate, select, and purchase hardware. This week DataON and Intel are announcing the second generation of Intel Selection Solutions, featuring the new Intel® Xeon® Cascade Lake advanced performance processors. These new processors provide a performance boost over the previous generation Intel® Xeon® Scalable Processors and support the new Intel® Optane™ DC persistent memory. By having Intel Select Solutions verified with the latest Intel technologies, IT administrators can take advantage of these new technologies faster and respond more quickly to dynamic business demands. If you’re looking to deploy a Microsoft solution, consider an Intel Select Solution from DataON. Not only will you have confidence that the solutions have been properly stress-tested and performance-tuned, but you’ll also gain from DataON’s expertise with deploying Microsoft solutions. We’ll get your new Microsoft solution up and running in no time!